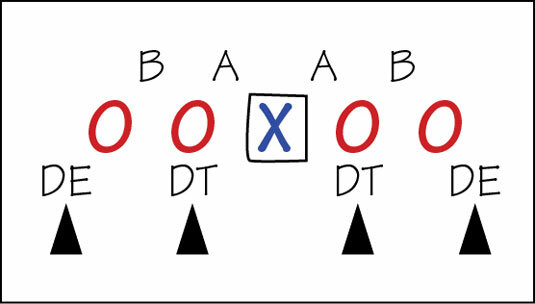 These symbols are used in the diagrams of lineups and formations. 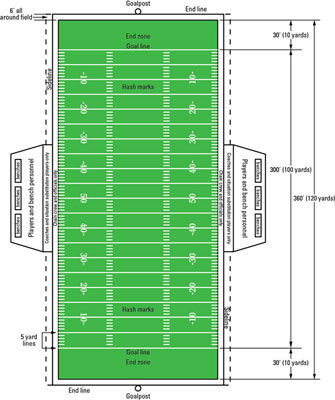 Every marking on a football field serves a specific purpose. 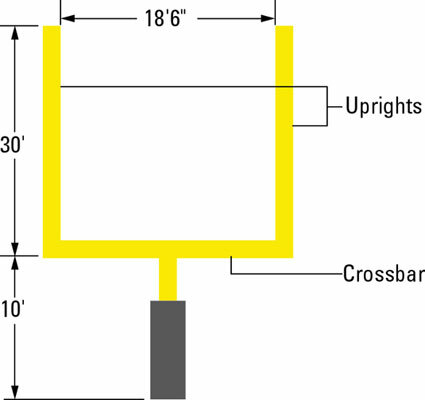 When the football is kicked through the goal posts, teams score one or three points, depending on the situation. 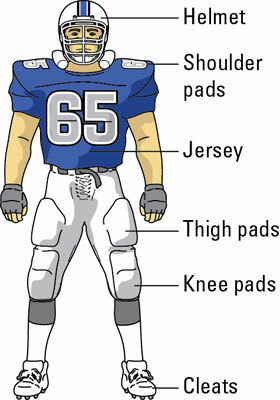 Football uniforms are standard across all levels of the sport. 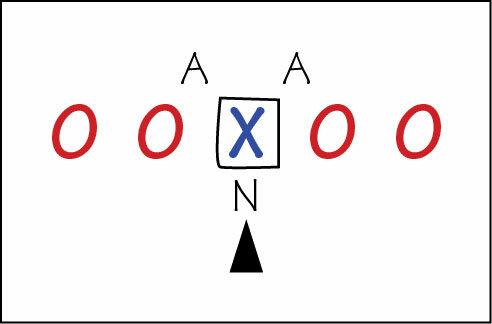 The quarterback (QB) lines up directly behind the center at the beginning of each play. 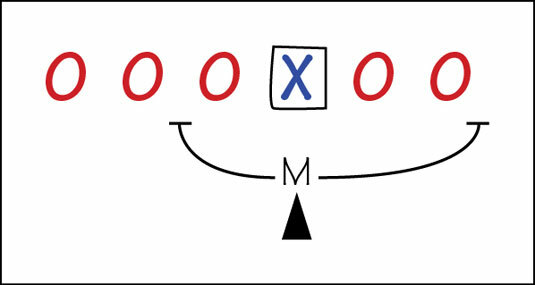 A quarterback may line up under center, and then the center snaps the ball to him to start the play. 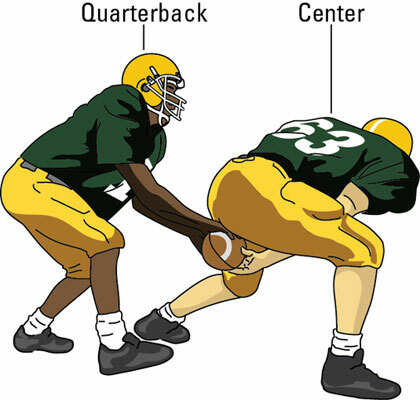 To catch a football, a receiver spreads his hands as wide as possible while keeping his thumbs together and then brings his hands up in front of his face. 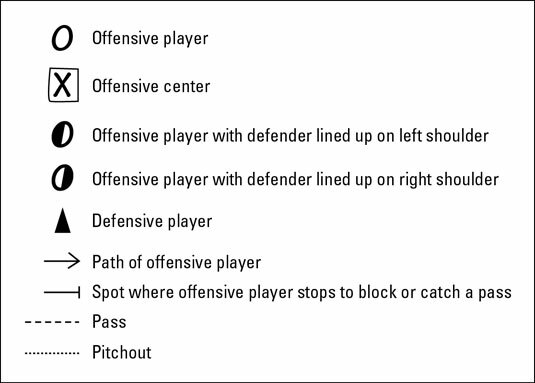 The offensive line is made up of five players, with the man in the middle called the center. 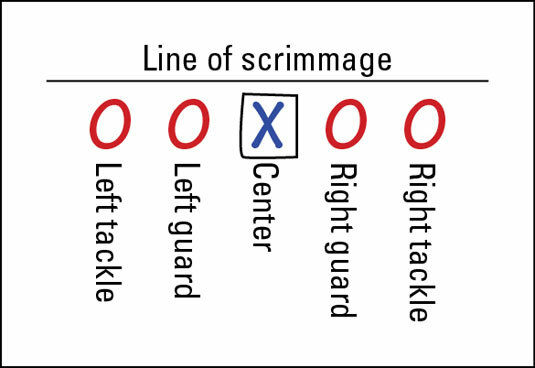 The nose tackle (N) lines up opposite the center, nose to nose. 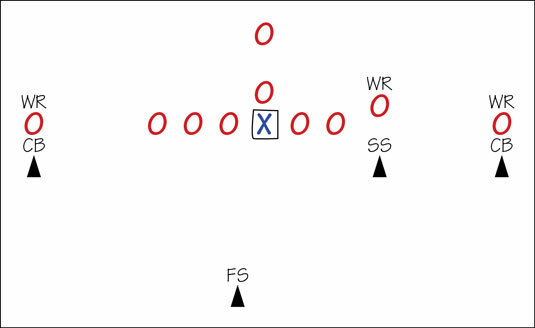 A Sam linebacker lines up directly across from the tight end and tries to disrupt the tight end’s movements. 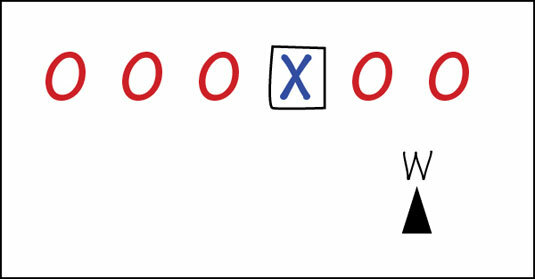 The Willy linebacker (W) covers the weak side. The Mike linebacker (M) lines up across and back from the center and is prepared to tackle anyone with the ball. The two cornerbacks (CBs) generally line up on the far left and right sides of the line of scrimmage and are ready to defend the receivers. The free safety (FS) lines up deep and off the line of scrimmage, hoping to prevent the long pass.